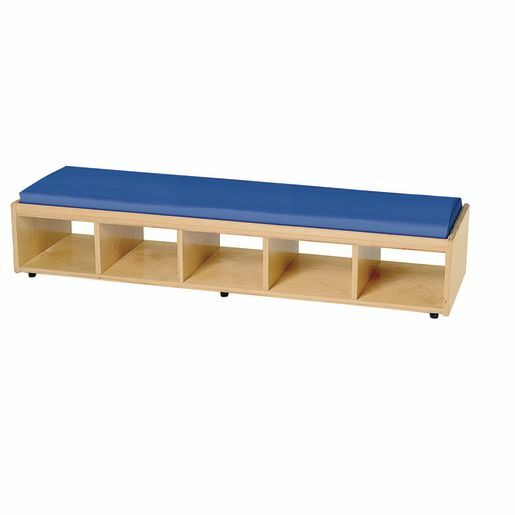 Double sided padded bench seating with enough storage for Easy Label bins accessible on either side. Use this in the middle of the room for circle time nestled between two bookcases to create a reading nook. Cushions are wipe clean with easy removal and replacement. Made of 5/8" 11-ply birch with high endurance gloss finish for easy cleaning. Measures 48"L x 14.5"W x 12"H. Lifetime warranty. Fully assembled. Ships within 3 days. 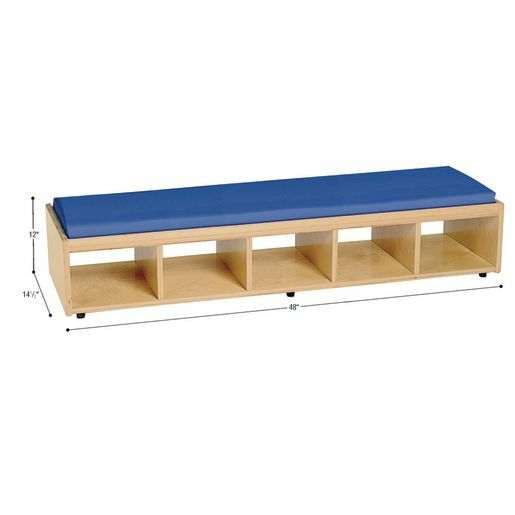 *High quality clear finish that is "gym floor tough"
*Designed with center of the room praticality, multiple child play, and a great amount of imagination to the possibilities of use.